"Some time ago a little-known Scottish philosopher wrote a book on what makes nations succeed and what makes them fail. The Wealth of Nations is still being read today. 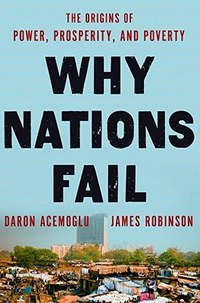 With the same perspicacity and with the same broad historical perspective, Daron Acemoglu and James Robinson have retackled this same question for our own times. Two centuries from now our great-great- . . . -great grandchildren will be, similarly, reading Why Nations Fail." 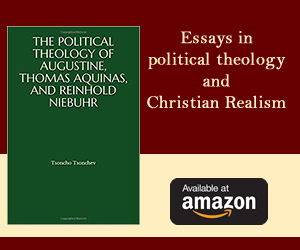 "This path-breaking book is among the most ambitious, innovative, sweeping, and rigorous scholarly efforts in comparative political economy and political development. 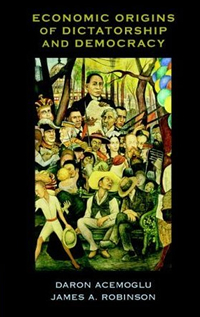 It offers a broad, substantial new account of the creation and consolidation of democracy. Why is the franchise extended? How do elites make reform believable and avoid expropriation? Why do revolutions nevertheless occur? Why do new democracies sometimes collapse into coups and repression? When is repression abandoned? Backed by a unified analytic model, historical insight, and extensive statistical analysis, the authors' case is compelling." If you start in the city center of Nogales Santa Cruz and walk south for a while, at some point you see houses become much more run down, streets turn decrepit. You have crossed the Mexican border into Nogales, Sonora. Though the two cities are made of the same cloth and were once united, now there are sharp differences between the two. Those in the north are about three times as rich, have access to much better health care, stay in school much longer and of course take part in a much more democratic political process than their cousins in the south. The differences between the two halves of Nogales are a micro, tiny version of huge differences in prosperity and living standards we see around the world. Take Mexico as a whole, for example: it has less than one quarter of the GDP per capita of the United States. Take Peru; it has about one seventh of the GDP per capita of the United States. Or take Ethiopia, Haiti, Somalia or the Congo, each of has less than one thirtieth of the GDP per capita of the United States. Several pundits and journalists will tell you that these are due to geographic factors condemning some areas to poverty, or to cultural factors making some people lazy or not sufficiently inquisitive, or to the fact that some countries have better leaders or received better policy advice and know what to do about their economy. But these are all wrong and as unhelpful for understanding the gulf that separates the rich from poor around the world as they are irrelevant for understanding the differences between the two Nogaleses. Of course what divides the two Nogaleses is not geography (they have the same geography); it is not culture (according to any reasonable definition, they have the same culture); and it is not any sort of wisdom on the part of the leaders of Nogales, Santa Cruz. What divides the two is the border, which creates the very different sets of institutions to the north and the south. To understand what these institutions are and what they do, take another society divided by a border. South and North Korea. The people of South Korea have living standards similar to those of Portugal and Spain. To the north, in the so-called Democratic People's Republic of Korea, or North Korea, living standards are akin to those of a sub-Saharan African country, about one tenth of average living standards in South Korea. The health of North Koreans is in an even worse state; the average North Korean can expect to live ten years less than their cousins to the south of the 38th parallel. These striking differences are not ancient. In fact they did not exist prior to the end of the Second World War. But after 1945 the different governments in the north and the south adopted very different ways of organizing their economies. South Korea was led and its early economic and political institutions were shaped by the Harvard and Princeton educated, staunchly anti-Communist Syngman Rhee, with significant support from the United States. Rhee was elected president in 1948. Forged in the midst of the Korean War and against the threat of communism spreading to the south of the 38th parallel, South Korea was no democracy. Both Rhee and his equally famous successor, General Park Chung-Hee, secured their places in history books as authoritarian presidents. But both governed a market economy where private property was recognized, and after 1961 Park effectively threw the weight of the state behind rapid economic growth channeling credit and subsidies to firms that were successful. The situation north of the 38th parallel was very different. Kim Il-Sung, a leader of anti-Japanese communist partisans during the Second World War, established himself as dictator by 1947, and with the help of the Soviet Union, introduced a rigid form of centrally planned economy. Private property was outlawed and markets were banned. Freedoms were curtailed not only in the market place, but in every sphere of North Koreans' lives---except for those that happened to be part of the very small ruling elite around Kim Il-Sung, and later around his son and successor Kim Jong-Il. It should be no surprise that the economic fortunes of South and North Korea diverged sharply. Kim Il-Sung's command economy soon proved to be a disaster. Detailed statistics are not available from North Korea, which is a secretive state to say the least. Nonetheless, available evidence confirms what we know from the all too often recurring famines: not only did industrial production fail to take off but North Korea in fact experienced a collapse in agricultural productivity. Lack of private property meant that few had incentives to invest or exert effort to increase or even maintain productivity. The stifling repressive regime was inimical to innovation and adoption of new technologies. But Kim Il-Sung, his son and successor, the "dear leader" Kim Jong-Il, and their cronies had no intention to reform the system, or to introduce private property, markets, private contracts, and economic and political freedoms. North Korea continues to stagnate economically, and there is no sign that anything will be different under the new "dear leader" Kim Jong-un. Meanwhile in the south economic institutions encouraged investment and trade. South Korean politicians invested in education, achieving high rates of literacy and schooling. South Korean companies were quick to take advantage of the relatively educated population, the policies encouraging investment and industrialization, the export markets, and the transfer of technology. South Korea became one of East Asia's `Miracle Economies,' one of the most rapidly growing nations in the world. By the late 1990s, in just about half a century, South Korean growth and North Korean stagnation led to a tenfold gap between the two halves of this once-united country---imagine what a difference a couple centuries could make. The economic disaster of North Korea, which not only prevented growth but led to the starvation of millions, when placed against the South Korean economic success, is striking: neither culture nor geography nor ignorance can explain the divergent paths of North and South Korea. So what explains the divergence between South and North Korea and the gap between the two Nogaleses and those between the United States, and Mexico, Peru, Ethiopia, Haiti Somalia, or the Congo? The answer is institutions. Countries differ in their economic success because of their different institutions, the rules influencing how the economy works and incentives that motivate people. Imagine the lives of teenagers in North and South Korea and what they expect from life. Those in the North grow up in poverty, without adequate education to prepare them for skilled work, entrepreneurial initiative and creativity. Much of the education they receive at school is pure propaganda, meant to shore up the legitimacy of the regime. There are few books or pencils let alone computers. After finishing school everyone has to go into the army for ten years. These teenagers know that they will not be able to own property, start a business, or improve their living standards even if many people engage illegally in private economic activities to make a living. They also know that they will not have legal access to markets where they can utilize their skills or use their earnings to purchase the goods that they need and desire. They are even unsure about what kind of human rights they will have. Those in the South obtain a good education, and face incentives that encourage them to exert effort and excel in their chosen vocation. South Korea is a market economy, built on private property. South Korean teenagers know that, if successful as entrepreneurs or workers, one day they can enjoy the fruits of their investments and efforts; they can increase their living standards, buy consumer goods, cars, houses and health care. In the South, the state supports economic activity and upholds law and order. So it is possible for entrepreneurs to borrow money from banks and financial markets, for foreign companies to enter into partnerships with South Korean firms, for individuals to take up mortgages to buy houses. In the South by and large, you are free to open any business you like. In the North you are not, though you can do so illegally and covertly as many people do to avoid starvation. In the South you can hire workers, sell your product or services, and spend your money in the marketplace in whichever way you want. In the North there are only black markets. These different rules are the institutions under which North and South Koreans live. We call institutions, such as those in South Korea or in the United States, inclusive. These uphold private property, enforce law and order and contracts, encourage and support economic activity, allow entry of new businesses and permit the functioning of markets are inclusive economic institutions. They encourage the participation of most people in economic activities that best make use of their talents and skills. They also distribute political power more evenly in society and it is this pluralistic distribution of political power that makes these institutions work. Institutions, like those in North Korea or the Congo, are extractive. They fail to enforce property rights, contracts, and law and order; take away economic freedoms and coerce people into occupations that they don't want; erect prohibitive entry barriers; and involve the state intervening to distort markets and economic incentives rather than supporting these and providing public services are extractive economic institutions. They are supported by Communist Party's tight control over political power. The term extractive stems from the fact that such economic institutions are often shaped by those who control political power to extract resources from the rest of the society. The contrast of South and North Korea illustrates a general principle: inclusive economic institutions foster economic activity, productivity growth and economic prosperity, while extractive economic institutions generally fail to do so. Property rights are central, since only those who have secure property rights will be willing to invest and increase productivity. A farmer, for example, who expects his output to be stolen, expropriated or entirely taxed away would have little incentive to work, let alone any incentive to undertake investments and innovations. But extractive economic institutions do exactly that and fail to uphold property rights of workers, farmers, traders and businessmen. Inclusive institutions are not just made of secure and enforced property rights for a narrow elite, but require both such rights to be available to the majority of the population and the political power in society to be distributed evenly to match this. In 1680, the English government conducted a census of the population of its West Indian colony of Barbados. It revealed that of the total population on the island of around 60,000, almost 39,000 were African slaves who were the property of the remaining one third of the population. Indeed, they were mostly the property of the largest 175 sugar planters who also owned most of the land. These large planters had secure and well enforced property rights over their land and even over their slaves. If one planter wanted to sell slaves to another, he could do so and expect a court to enforce such a sale or any other contract he was a party of. For one thing, of the 40 judges and justices of the peace on the island, 29 of them were large planters. For another, all of the eight most senior military officials were large planters. Despite well-defined, secure and enforced property rights and contracts for the island's elite, Barbados had highly extractive economic institutions since two thirds of the population were slaves with no access to education, economic opportunities and no ability or incentive to use their talents or skills. Inclusive economic institutions require secure property rights and economic opportunities not just for the elite but for a broad cross-section of society. Our thesis is that both poverty and prosperity are created by economic and political incentives, and these incentives are shaped by institutions. South Nogales, Sonora and North Korea are poor because its inhabitants have limited economic opportunities, a poor state of infrastructure to build on, not enough education because of the poor state of public schools, and little security that if they work hard and invest they'll be able to enjoy the fruits of this. They are relatively poor not by choice, their poverty has been created by the institutions they live under. Crucially, these institutions are not in place by accident, but have their own logic. The institutions that inhabitants of South Nogales, some are live under have been forged by Mexican elites and politicians who have designed a system for their own benefit at the expense of the vast majority of the citizens of Mexico. The situation in North Korea is no different. Extractive institutions have been created and are kept in place for the benefit of the narrow elite dominating the Communist Party, and it is those who prosper while scores of North Koreans perish in famines. The recent events in North Africa and the Middle East highlight of the importance of understanding these additional dynamics and the central role of politics plays. The 'Arab spring' had already swept the Tuinisian President Bin Ali from power by early 2011, and then spread to the rest of the region. Longtime Egyptian president Husni Mubarak was ousted soon after Bin Ali. Muammar al-Qadhdhafi's 42 year reign in Libya came to an end in August 2011. The roots of discontent in these countries are economic, political and social. The average Egyptian, for example, has an income level of around 12% of the average citizen of the US, can expect to live 10 years fewer and 20% of the population is in dire poverty. The general population has been repressed and excluded from political power for generations. The root cause of these differences has nothing to do with geography, culture or policy mistakes. They are institutional. And the protesters in Tahrir Square understood this in demanding not just handouts or concessions, but fundamental political change. While they underscore the role of politics in shaping the trajectories of nations, these events also pose challenging questions: do we expect democracy or extremism to triumph in Egypt? Have the events in Tahrir Square changed the nature of politics irrevocably or will a similar economic and political structure reemerge under a different guise? Will the same tensions erupt similarly in other parts of the region such as Bahrain, Jordan and Saudi Arabia? It is ultimately for answering such questions, and gauging their consequences for economic and social progress around the world, that we need to understand the institutional roots and the politics of prosperity and poverty. Daron Acemoglu is Charles P. Kindleberger Professor of Applied Economics at The Massachusetts Institute of Technology and a member of the Canadian Institute for Advanced Research's Program on Institutions, Organizations, and Growth. He received the 2005 John Bates Clark Medal awarded by the American Economic Association to the best economist working in the United States under age 40. He is the author of the textbook Introduction to Modern Economic Growth and coeditor of Econometrica and NBER Macroannual. James A. Robinson is Professor of Government at Harvard University. He is a Faculty Associate at the Institute for Quantitative Social Science and the Weatherhead Center for International Affairs and is a member of the Canadian Institute for Advanced Research's Program on Institutions, Organizations, and Growth. He is coeditor with Jared Diamond of Natural Experiments in History (2009).